House Sub for Senate Bill 13 becomes effective April 1, 2019 and changes how and where beer and cereal malt beverage (CMB) is sold in Kansas. To view detailed information regarding upcoming changes to beer sales in Kansas, click here. Did you know that the Alcoholic Beverage Control division of the Kansas Department of Revenue has a facebook page? You can find great articles, helpful tips and all the latest news related to the Division of Alcoholic Beverage Control. You must register for business taxes. All applicants must have a valid Tax Clearance Certificate from the Kansas Department of Revenue for the entity. Apply for a Tax Clearance Certificate using your entity's FEIN. See all the steps and get more information here. 2019 H.B. 2035 amends K.S.A. 2018 Supp. 41-308 to provide that all alcoholic liquor, cereal malt beverage and nonalcoholic malt beverage sold by a holder of a retail liquor store license shall be subject to the liquor enforcement tax imposed by K.S.A. 79-4101. This change went into effect on April 11, 2019, the date the act was published in the Kansas register. Who is liable for the drug tax? An individual is classified as a drug dealer and is liable for the payment of drug taxes if he/she manufactures, produces, ships, transports or imports into Kansas or possesses more than 28 grams of marijuana (processed or marijuana plants) or more than one gram of controlled substance or 10 or more dosage units of a controlled substance (K.S.A. 79-5201). What is an administrative citation? Citation is a legal notice issued by the Assistant Attorney General after reviewing the alleged violation advising the Licensee of a liquor violation and the penalty for committing the violation. To prevent further administrative action, the suspension, if any, must be served and the administrative fine must be paid. What is the exact role of a process agent? The role of a process agent is to accept service of process on behalf of a licensee. What is the minimum age limit to scan beer? 21 years old for retail liquor; 18 years old for Cereal Malt Beverage. 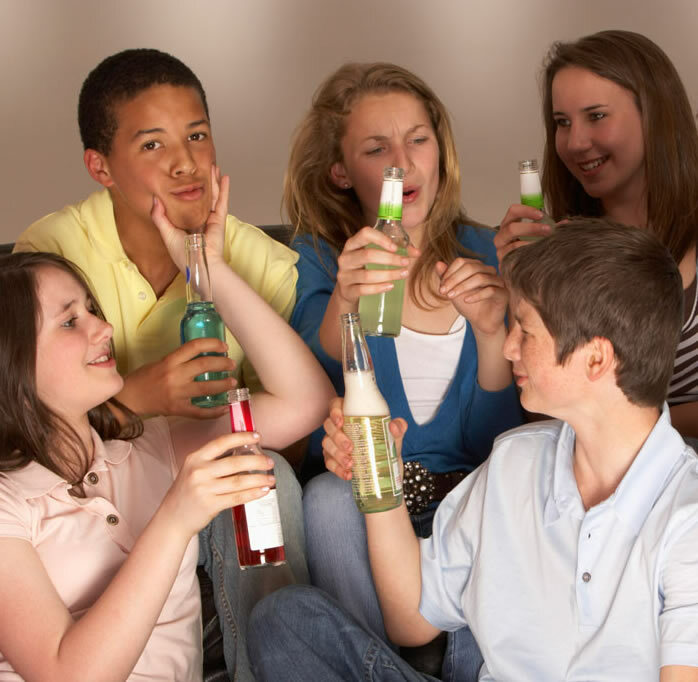 Unlawfully hosting minors consuming alcoholic liquor or CMB is recklessly permitting a person's residence or any land, building, structure or room owned, occupied or procured by such person to be used by an invitee of such person or an invitee of such person's child or ward, in a manner that results in the unlawful possession or consumption therein of alcoholic liquor or CMB by a minor. Penalty: Class A misdemeanor with a minimum fine of $1000. All Kansas ABC Agents are certified law enforcement personnel per K.S.A. 41-201. Remember, you are not required to make a sale if there is any question that doing so would violate Federal or State law.